Here are some of the One of a kind pendants. Most designs available in other colors and stones. Feel free to contact me with your request or order. 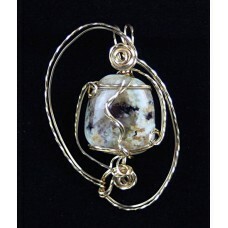 Hand cut Turritella Agate set in 14 karat gold filled. 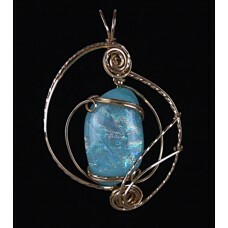 accented by two crystals to show ..
Caribbean Blue dichroic glass set in 14kt gold filled. 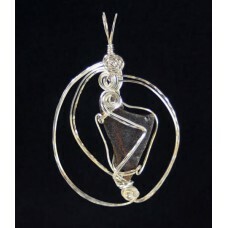 The size of the piece below th..
Sterling silver shows the beauty in this piece of lava. 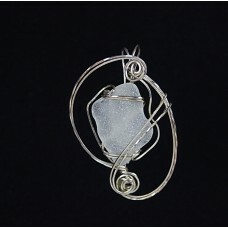 Organic, versatile and minimalist, thi..
Sterling silver accents this great piece of marble in this pendant. It will become a necklace ..
Dreamy blue agate set in 14ktgf. Simple setting shows the beauty in the stone. 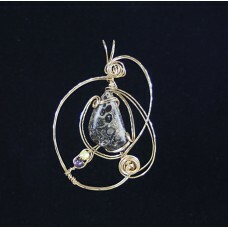 ..
Blue Goldstone Asymmetrical pendant set is 14 karat gold filled wire. 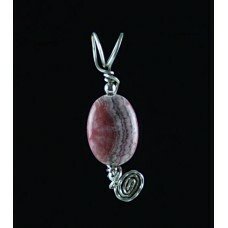 Bail is about 8mm, large..
Fun and flirty hand made lampwork bead by a talented glass artist I know. Set in Sterling silv.. Beige granite cabochon with quartz and dark red garnet patches. Size is about 45 mm b..